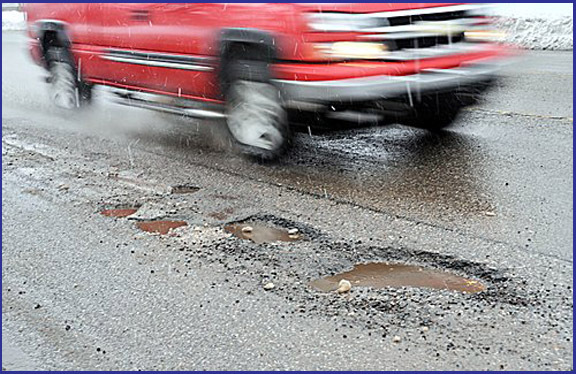 Icy roads and snowy conditions can create potholes throughout the winter months. I urge all drivers to use caution when driving. Also, please report dangerous potholes to the appropriate municipality. The roads in Nassau County are maintained by different municipalities. Each road is maintained by either Nassau County, New York State, or one of the many towns, villages or cities in Nassau. This can make reporting a pothole very complicated. To report a pothole issue, please download and use the “Nassau Now” phone application on your smartphone or mobile device. The free app allows you to take a photograph of the pothole area and sent it to the Highway Department with the GPS location. If the road is not one that is maintained by the county, the information will be re-directed to the correct municipality. As always, please take care when driving. Drive slowly and try to avoid potholes all together. If you cannot avoid the pothole, reducing your speed can help avoid tire damage.